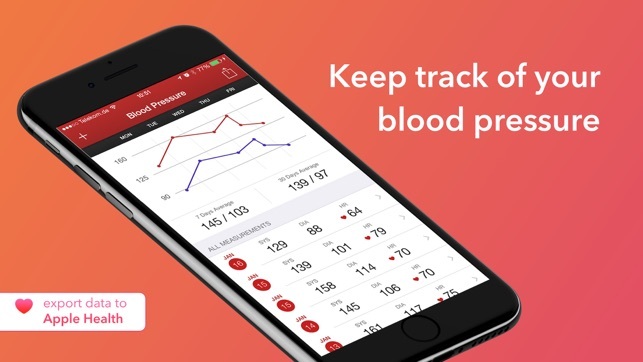 Blood Pressure Assistant is an easy-to-use app that helps you to log, manage and remember all your blood pressure measurements. Monitor your blood pressure on long and short term and put your doctors’ into the picture. 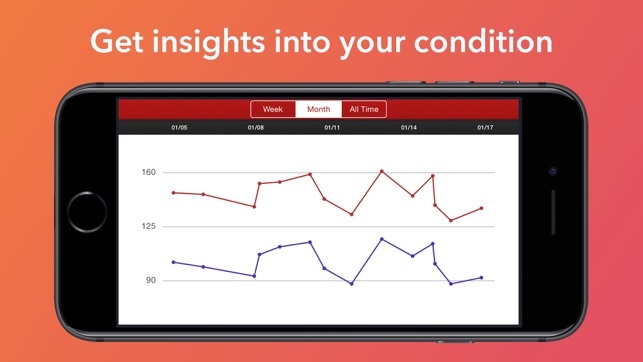 Thanks to Blood Pressure Assistant bureaucratic logging of blood pressure measurements ​​is finally a thing of the past: Instead of maintaining large Excel spreadsheets or notepads, you can now take your blood pressure data always with you in your iPhone. Blood Pressure Assistant enables you to enter your blood pressure and recall it at any time. Through its modern and intuitive design, Blood Pressure Assistant is easy-to-use and provides a pleasant user experience. Beautiful, handcrafted charts offer you a quick overview of the latest developments of your hypertension. However, you still have the possibility for deeper analysis: Thanks to built-in export capabilities, you can send all your data via e-mail to anyone you like. 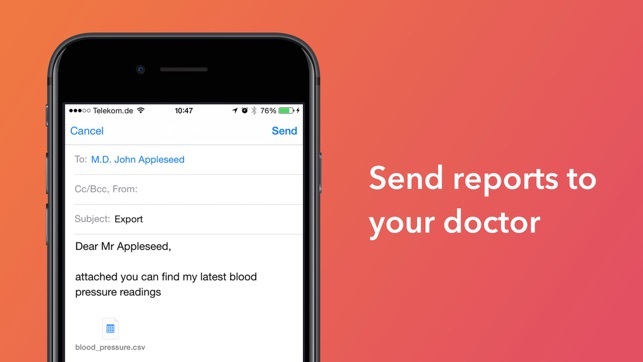 Please note: Apple Health is currently only available for iPhone. Thus, synchronization of data between iPhone and iPad via Apple Health is currently not supported. This update fixes a bug with chart display in landscape mode on iPhone X. 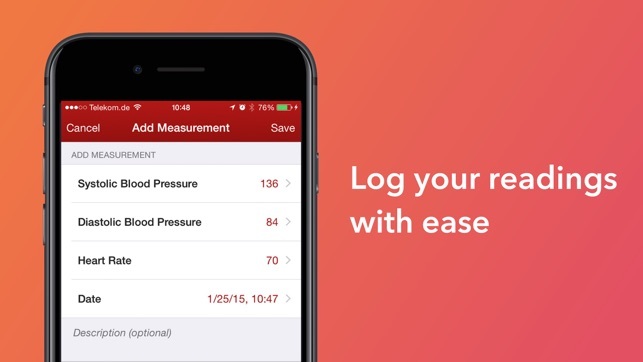 Easy to keep a digital record of your blood pressure. What I like about this blood pressure record is it is it’s simplicity. I wish there was the ability to key in your reading instead of using the scroll wheel. It would make data entry much faster. Easy to input and then have lots of data.